Chinese banks won top 4 places in The Banker's latest global ranking of the top 1,000 banks this year. The Industrial and Commercial Bank of China remains No. 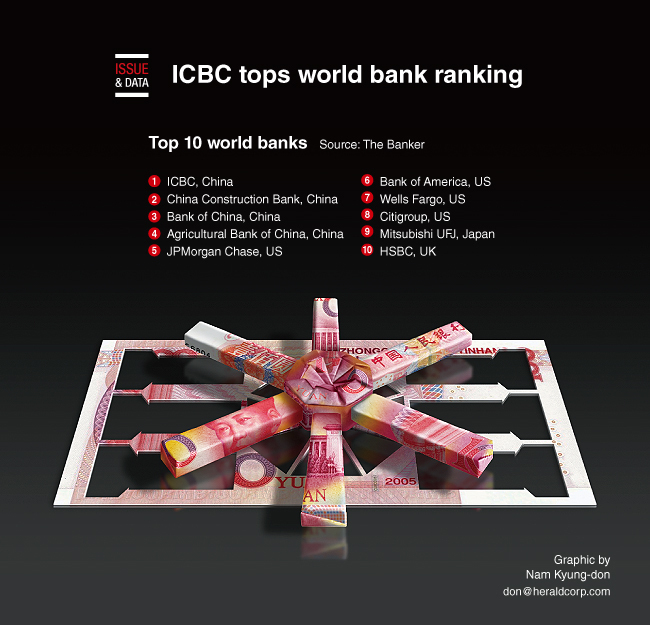 1 in terms of tier 1 capital, followed by China Construction Bank, Bank of China and Agricultural Bank of China, which together make nearly one third of global profits. US banks did well in the ranking, with JPMorgan placing 5th, Bank of America 6th, Wells Fargo 7th and Citigroup 8th.